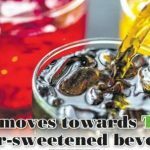 A recent survey found that most Jamaicans (87%) agree that sugary drinks are a major contributor to obesity and 78% are concerned about their impact on child health. More than half of parents (54%) said their children consume most of their intake of sugary drinks at school and more than three-quarters agree that unhealthy foods and drinks should not be sold in schools. As a place where children spend the majority of their days, we must ensure that schools are health-promoting environments and that children adopt healthy behaviours during the school day. The addition of Jamaica Moves in schools, the School Nutrition Policy and restriction of certain sugary drinks in schools effective January 2019 can make a difference in stemming rates of childhood obesity in our country. 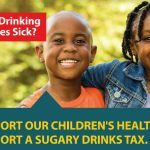 The campaign ad for “Are Your Children Drinking Themselves Sick?” shows a child consuming sugary drinks from infancy to adulthood. He develops tooth decay during his teenage years and as an adult is shown to be suffering from type 2 diabetes. 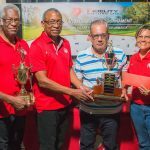 This reflects the reality of many Jamaicans: the newly released Jamaica Health and Lifestyle Survey (JHLS) 2016/2017, stated that the overall prevalence of diabetes was 12% among persons 15 and over. Among persons 15-74 years, the prevalence of diabetes was approximately 10%, and this compares to 7.8% among the same age group in JHLS11, 2007/2008. The “Are Your Children Drinking Themselves Sick?” will run on TV, radio, in newspapers, on social media and on billboards. Jamaicans are encouraged to share messages about the campaign on social media using the hashtags: #RejectToothDecay, #AreYourChildrenDrinkingThemselvesSick and #RaiseHealthyChildren. They can retweet posts or comment on posts from the Instagram or Facebook pages of @heartfoundationja, @themohgovjm and @jamaica_moves. This campaign was inspired by the Play Every Day campaign, developed by the Alaska Department of Health and Social Services, and follows the campaign “Are you drinking yourself sick?” which informed people about the amount of sugar present in sugary drinks such as sodas and fruit juices and highlighted the negative health impacts of consuming sugary drinks. Further information and stills from the campaign are available upon request. 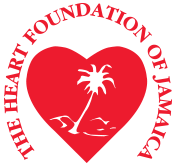 The Heart Foundation of Jamaica (HFJ) was formed, as a non-governmental organization (NGO) by the Lions Club of Kingston, in 1971. The Foundation is a member of the InterAmerican Heart Foundation, the Framework Convention Alliance, the Healthy Caribbean Coalition and the World Heart Federation and is involved in prevention programmes for cardiovascular disease. 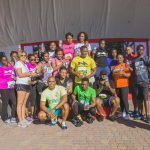 In September 2018, the Heart Foundation of Jamaica commenced its Global Health Advocacy Project (GHAP). The project supports obesity prevention through mass media campaigns for increased awareness of the harms of sugar sweetened beverages (SSB) and promotion of policy change.